My children love any kind of bath toys so anytime we get new bath toys they get super excited!! So when we were able to review the Nuby Foam Bath Letters I was really excited the kids absolutely love these and it helps my son to now count he already knows up to number 10 and then for my daughter she is finally learning how to spell out words and this is helping her to spell and sound words out. Wherever you can work learning into your routine I am all for it. They can spend hours in the bath with these letters and numbers. 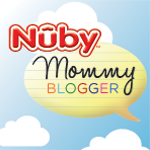 Would you like to win your own set of Nuby Foam Bath Letters and Numbers? Enter the Rafflecopter Below for your chance to win!! I have puzzles and try to make it fun, playing with him, while placing each number (piece) in the correct space. I read books to him and we like to point out all the letters he knows, the ones he don't know, we learn!!! we use a dry eraser board. we right all the letters and number and make games. Nothing yet, our first child is due in June, but I plan on reading to him a lot! i bought some magnetic ones for the fridge. we practice everyday..while going up and down the stairs we count.and we do numbers and letters puzzles. I count forwards and backwards. If he sees an object and says the word then we count how many of it there is. We also do flashcards. We do a lot of magnets, and just repetition! We practiced counting often by putting it into our everyday activities. When walking, count each step to 10 or when grocery shopping, count each item you add to the cart up to 10. I'm sure you get the jist. For letters it was kind of the same thing. Just within everyday conversation point out a beginning letter. Like "I like SpongeBob" "What sound/letter does SpongeBob start with?" This is in addition to magnets/puzzles. Thanks! We looked for them on signs in our community. We don't have kids yet, we are trying, but both my parents are math teachers, so when that time comes I'm sure time with grandma and grandpa is in order! i haven't bought anything specific yet. My daughter is just over a year so we aren't to numbers or letters yet, but I'd like to have these when we get there! My 6 year old and I help my two 2 year olds, and my 4 year old by going over my 6 year olds homework as well as flashcards and letters and number fridge work.